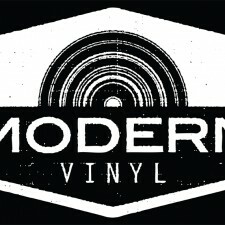 So Modern Vinyl has had an interesting year. I always use this mid-year space to touch on our traffic, our reach, so I’ll do that first, even if it’s not the most crucial development we’re pushing. But yes, traffic has been strong! We’re at the highest point we’ve ever hit through 6 months and well on the way to a best year. Last year was about 2.6 million visits and I expect we eclipse 3 million in 2015. So a big, big thanks to everyone who’s spread the word through social media and hopefully through the backbone of this industry, record shops. The more important pushes, at least in my mind, has been in our content. Pieces like our recent Emile Haynie, Jeff Rosenstock and Churchill Test features is where I’d love the site to head — actual analysis, not just in review form — while our interviews/reviews have been strengthened through the podcast, our exclusives have skyrocketed (courtesy of the great managing editor, James Cassar) and our news/calendar features have served as our traffic backbone (as usual). And after some major hiccups with the new site design, I think it’s been straightened out to the point where it serves as a nice showcase for longer writing. The podcast! We went live this April people! It was so very exciting to take that step out in NYC and it was great to meet some of the faces behind the Twitter accounts. We plan to keep pushing the podcast branch of MV — if you haven’t listened, you can subscribe here — and it’s been a nice flashback to the beginnings of the site for me, as we’ve really had to battle for every single listener. On top of the MV podcast, we’ll be launching a new show very soon. And don’t worry…you won’t just be hearing my voice in a different context. Three new hosts, all new environment. So…what else to say? I guess I’ll just finish with this. My goal is to keep pushing what exactly this site is and can be. If you want to support us in this cause, read the longer articles, not just the clickbait (all sites do it, we’re not ashamed!). Listen to the podcast and reach out to us on social media with questions and the like. If we’ve helped you out in any way throughout your collecting years, keep reading and supporting us. This actually came out in 2014, but in December, so I didn’t have enough time to include it in last year’s list. Simply haven’t had enough time with the record yet. But it’s great in small doses thus far. The sophomore full length by the band formerly known as the Kopecky Family Band diverges from their folksy debut, Kids Raising Kids, and is not a sophomore slump by any means. The album is much more energetic than their last release, but is a strong effort with hints of ’80s-inspired rock, synth and lots of opportunities to dance the night away. Drug For The Modern Age, incredibly catchy, is one chronicling the challenges of life as a whole, be it through breakups, heartbreak and reflection. It’s easy to compare their sound to that of Fleetwood Mac, but vocalist Kelsey Kopecky’s vocals are much sweeter than Stevie Nicks’, but just as dynamic. The combination of Kopecky and Gabe Simon’s work on the album deliver a powerful punch (Contributed by Meghin Moore). 4. Jeff Rosenstock — We Cool? James Cassar said it way better than I probably will, but there’s something about exploring adulthood in an authentic way that attracts a 26-year-old on the cusp of live’s main events. As Rosenstock sings of those uncomfortable “adult conversations” in the lead single, “Nausea,” I get violent flashbacks to annual Christmas gatherings and seasons of unemployment, where I myself started “avoiding the people I love.” And in album standout, “You, In Weird Cities,” he hits on the feeling we’ve all had post-college, the one of spread out friends and occasional gatherings. This one’s for all of us in those mid-to-late 20s. The biggest surprise of the year comes courtesy of a young, South Carolina rock outfit. The 3-piece draws influence from your expected sources, like the pure grunge of “Virgin,” but it’s the more unexpected cuts like “Elsewhere,” which show off a wider palette. In this track, we find Marvelous 3 reincarnate, an undeniable handle on pop tendencies in place. “Mom Jeans” runs along a similar path, while “Alison” shows a talented frontman willing the mimic the vocal patterns of the ’90s alternative, while adding a modern spin. A blast from the past in the best possible way, Bridges not only mimics the style of our most classic blues, but the substance. A song like “River” isn’t necessarily meant to be dissected lyrically — it simply refers to the washing away of sins, the cleaning of self for another — but it’s execution is so flawless, it doesn’t matter. Bridges possesses not only one of the smoothest voices in modern music, but one of the most authentic. It booms, it feels real. And it helps when the album is so damn fun, a throwback to the big band feel of soul, with track like “Smooth Sailin'” being the strongest example. A boring pick I’m sure. After all, this album has received nothing but top flight praise since it’s release, but don’t be fooled. This is no case of overhype. Flawlessly poetic, the record takes the idea of personal loss, the specificity heartbreaking, yet the universal themes intact and powerful to all. The conflict within Stevens, the honoring of a women who abandoned him several times, is one which weighs heavily on our star, and on perhaps the best living (and in his prime) songwriter. It’s a master working with the richest of material, despite how depressing that notion is. Thanks to all for a great first half of 2015!